This is a Sponsored post written by me on behalf of St. Kitts Marriott Resort & Royal Beach Casino for SocialSpark. All opinions are 100% mine. With summer just a couple of weeks away, I’ve been so busy trying to plan our summer getaways. We’ve got one of our vacations planned already, and I’m currently in the process of planning two more. We’re looking for a really relaxing getaway. While I love our typical fun-packed typical vacations, they’re usually a bit too busy for me. Sometimes I feel like I need a vacation just to relax when we get back from our adventures. What I really need this year is a super relaxing, lounging on the beach all day type of vacation. One of the places we’d like to visit this summer is St. Kitts. It’s a hidden away gem in the Caribbean, perfect for rest and relaxation. It’s an off-the beaten path and full of natural beauty, with over 1/4 of the island being a national park. The island is full of wildlife from from chattering vervet monkeys and scurrying families of mongoosedem, to roaming cows, goats, and black-bellied sheep. The underwater world of St. Kitts is frequently praised by divers and snorkelers for the pristine condition of its coral reefs, its numerous historic shipwrecks, and colorful marine life. With the objective of sustaining and enhancing this environment, St. Kitts has been working with the respected marine conservation organizations C.O.R.A.L. (the Coral Reef Alliance) and Philippe Cousteau’s EarthEcho on a comprehensive assessment of the conditions of the reefs and ecosystems in the waters surrounding St. Kitts. The island’s goal is to create Marine Protected Areas, which will help preserve and protect its marine environment for now and years to come. 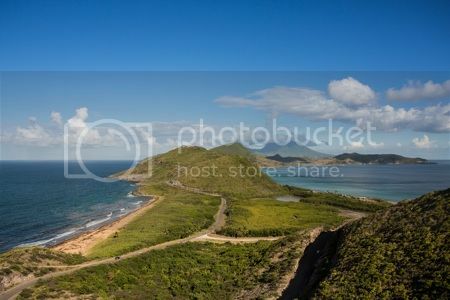 St Kitts is also well known for its lush and picturesque central mountain chain, which rises to nearly 4,000 ft at its highest point and is covered by a verdant, thriving rainforest. To help protect this precious natural asset, the St. Kitts & Nevis National Parliament has declared all land above the 1,000 ft contour to be a National Forest Reserve, effectively protecting most of the island’s lush rainforest. Classified as an American Oceanic Rainforest, it is one of the rarest types found on the entire planet and it’s actually expanding rather than shrinking! Those who choose to venture into the rainforest on one of many winding trails will be embraced by a canopy of rich green leaves sprinkled with brightly colored flowers and the soothing sounds of nature. Hikers and mountain bikers will find numerous trails of varying difficulty that wind past tropical plants and flowers, sparkling streams and waterfalls, and a seemingly endless forest of many types of trees. For a less physically demanding experience, many tour operators offer four-wheel drive tours or more leisurely walks with a guide to explain the sights, sounds and surroundings. Those who crave thrills can soar above the canopy on an eco-friendly zipline with one of the Caribbean’s newest zip tours. Birdwatchers will enjoy gazing at the many avian species that call St. Kitts home, while other visitors try to catch a glimpse of the island’s playful Green Vervet monkeys. Love golf? This island has one of most scenically beautiful courses in the world. The 18-hole championship Royal St. Kitts golf course features a magnificent layout on 125 acres with two full holes on the Caribbean Sea and three complete holes on the Atlantic Ocean. 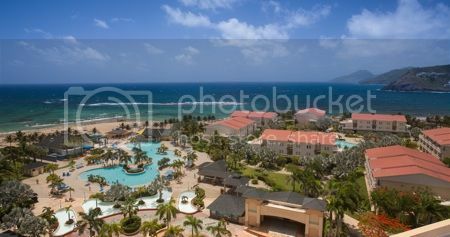 St. Kitts Marriott Resort & Royal Beach Casino is located on the southern part of the island. The resort has luxury guest rooms trimmed with West Indian accents and cutting edge comforts. There are 2 lounges and 8 restaurants on the property. And did I mention the 35,000 sq ft Royal Beach Casino? Oh, and don’t forget about that championship golf course and a spa! There’s so many things to do on the island. be sure to take advantage of the St. Kitts Marriott Super Sand Dollars offer. Stay four nights and get 3 nights free! 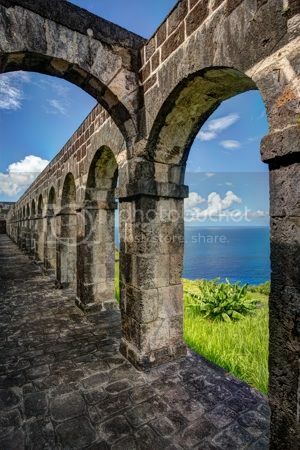 Discover St. Kitts Package and other great deals too! Want to win a 3 night stay at the St. Kitts Mariott Resort & Royal Beach Casino, a round of golf at the Royal St Kitts Golf Club and a welcome gift? What do you want to do at the St Kitts Marriot if you win? Be sure to enter your email with your comment in case you win! Must be 18+, U.S. residents only. Contest ends July 31. For more information, see Official Rules. I would love to win to take a vacation with my husband. We haven’t taken a vacation or more than 1 night away from the kids since we became parents 11.5 years ago! I’d want to explore the red forest, spend a day at the spa and GOLF! I’d go on one of the ziplining excursions! I would love to take a beautiful hike! Also, have to laugh…we are just a stone’s throw from the theme parks in central Florida. But, the only time I don’t like to visit them is in the summer!!! I’d rather go to St. IKits!!! So beautiful! I would love to visit! St. Kitts is one of the only islands I haven’t been to, but I’m dying to visit! That looks so peaceful. Beautiful! First I would hike the beautiful trails, making my way to at least one waterfall. Then I’d zipline – Because – Who wouldn’t want to see lush a beautiful rainforest from above at like, 30 miles per hour? Following this exhilarating zipline I would spend a couple of days relaxing, without lifting a finger unless it’s putting a fork or a drink to my lips! Made a short visit here on a cruise and wished we had more time to explore !!!! What a perfect setting to just relax on the beautiful beach an then explore the Island! Zip lining is an exciting rush and what a great place to try it! I would want to get a massage at the spa! I would love to learn about the island and culture but mainly it would be a place to relax, rediscover life and take time to appreciate it & enjoy it. I’d love to go snorkeling there! I want to nap on the beach. A morning hike followed by an luxurious afternoon at the spa and an evening of fine dining would be WONDERFUL! I would Love to Hike trails, Visit waterfalls and just lay on the beach to relax and enjoy such a beautiful place like St. Kitts!! I haven’t had a vacation in over 14 years because my late husband was sick with cancer for 12 years before he passed 18 months ago. I took care of him and I have been grieving for 18 months so I really could use some relaxation. I would live to spend time soaking up the sun and smelling the saltwater. I have zip lined before and I imagine it would be unbelievably beautiful there. I would also enjoy looking at all the beautiful birds native to the area I watch birds at home. The pool looks so inviting. I have stayed at Marriott before and would love to stay in this one. My husband and I have not been able to have a vacation together since 2010 when we got married in Vegas and it would be fantastic to have a romantic vacation. Thanks for offering a contest it’s fun! I’d love to lounge in the pool – and check out the waterfalls! Such a lovely place! My mate and I need precious time to explore the flora and fauna as well as have private time in the spas. We would enjoy the beach as well as water activities. We would love to just enjoy the surroundings with no time clock in the beautiful setting of St Kitts at The Marriott. I would want to go snorkeling and enjoy the ocean! We’re a couple of broke twenty-somethings, one half of which just moved halfway across America. He’s a wildlife biology major and loves all things hiking, trees, and nature. I want to whisk him away from this tiny eastern state to an island where he can see waterfalls and wildlife again. 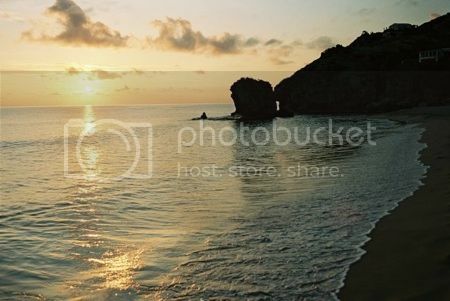 We went to St. Kitts years ago on our last leg of our cruise…. but only got to see a smidgeon of the island as we snorkeled the entire time. I would love to visit the INTERIOR and see some monkeys!! I would love to relax on the beach!